Hey there. If you want to create an online shop quick and easy, please check some of the awesome free and premium ecommerce wordpress themes listed below. You might ask "what?" - so I explain, the first thing you have to do is to download a FREE WordPress Plugin WooCommerce. Bonanza – multi purpose theme. Create online stop, company site, personal portfolio or blog. Mix and match to create your ultimate site. Abanix is a business, portfolio and eCommerce theme built on WordPress and powered by WooCommerce shop plugin. The theme design is compact and simple with modules specially created to present your company, portfolio or shop with great ease. The primary colors used are blue, grey and black specially chosen because of their visual influence on the user and contribute to a better browsing and shopping experience. 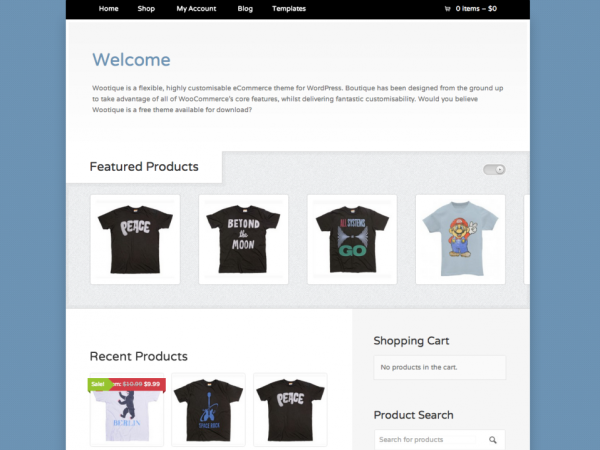 Wowshop is WordPress ecommerce theme (woocommerce). This theme have 3 main skin “black and white”, “light” and “dark” with 15 color scheme. The awesome slider supported by the most famous jQuery slider plugin – Revolution slider ($15 value). We also include “isotope (25$ value)” to allow you to have nice masonry layout for blog, project/portfolio and also product listing. We put “inner zooming” effect into Product gallery, which will works great with any touch devices too. Minimalist, and clean design concept, responsive design, built based on mobile-first theory. 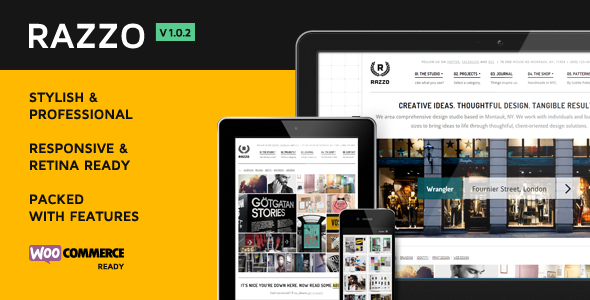 Razzo is a Premium Business / eCommerce WordPress Theme that’s easy to set up with a portfolio of work to show, such as architecture, design, and event firms, and is most suited for businesses, creative agencies and blogs. Tendershop: Minimal, responsive and clean design for wordpress eCommerce that fit all modern shops and boutiques. 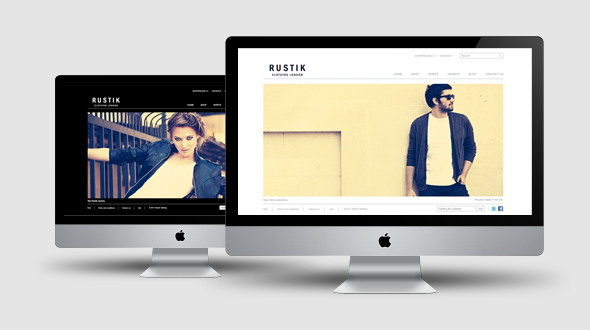 Rustik is a beautiful minimalist WordPress+WooCommerce theme that makes your products the center of attention. You can create your own logo on the fly in the theme options with a selection of 500+ fonts, and any font size, font style and font color.The theme comes with two readymade color schemes and you can adjust many color options from the theme admin to give it your own style. Bravo is a brilliantly designed e-Commerce theme NOW available for BOTH WordPress e-Commerce (3.8+) by Getshopped.org AND WooCommerce by Woothemes. There is no need for switching themes as Bravo will intelligently detect what cart you’re using and present the correct features. You can download a FREE copy of the WPEC plugin here OR download a FREE copy of the WooCommerce plugin here. 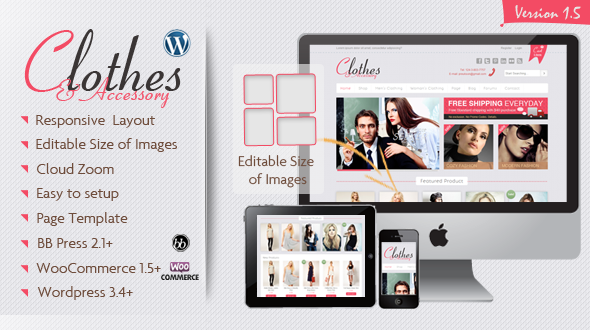 Clothes & Accessory is a WordPress theme that utilises the powerful Woo Commerce plugins to create a online eCommerce store. Theme is dedicated for clothes,apparel and accessory stores. It is the standard template for both the designing aspect and the coding aspect. Gadgeoo is a clean, ultra responsive WordPress eCommerce theme built specifically for WooCommerce. We’ve spent countless hours refining Gadgeoo on both the iPad and iPhone to deliver a beautiful shopping experience. SISO is fully prepared to help you transform your beautiful WordPress website into a thoroughbred online eCommerce store. 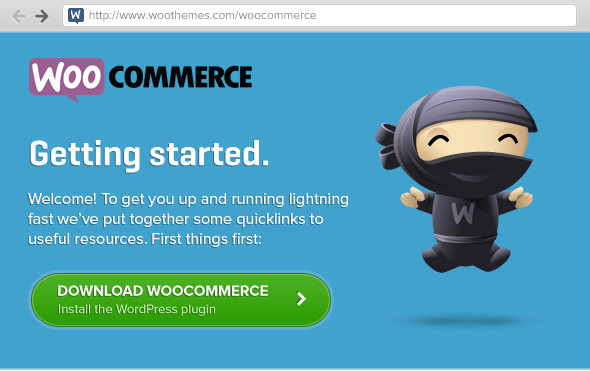 Just download the free WooCommerce plugin, upload it to your WordPress plugin directory and activate the plugin to get started. Make use of SISO’s Mega menu to showcase some of your products or categories. Creativo is a Responsive Multi Purpose WordPress Theme that comes with 3 predefined layouts: Boxed, Wide and Extra Wide. Try previewing Creativo on your mobile devices or simply resize your browser window to see the theme in action. Special from BajiGoor, just like its name (comes from the traditional hot drinks from West Java, ‘Bajigur’), we try to give you warmth and happiness by sharing the special for Kids Apparel here. You can show up your products attractively by BajiGoor big image sliders at the homepage, latest, random, and even featured products there. Also keep your customers informed by displaying your recent blog post at the home page. 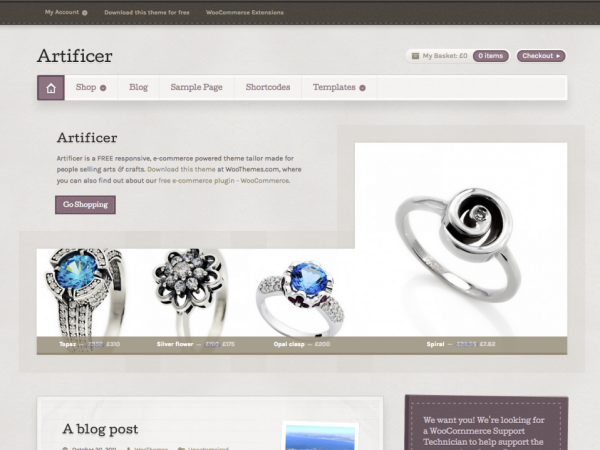 Artificer is a FREE responsive, e-commerce powered theme tailor made for people selling arts & crafts. iKonik WooCommerce Themes is the new version of iKonik free eCommerce Themes, designed to sell and promote your graphic design such as vectors, icons, logos, buttons, and other graphic stuffs. Hello kees_curiosa. Thank you for your opinion. You must know that page title is Top 25 Free And Premium eCommerce WordPress Themes and the url is a shortened version of title. Please learn some SEO basics and then feel free to post such vulgar comments. Free WordPress themes will be always appreciated. subscribe to my newsletter and you will not miss out any new free themes .